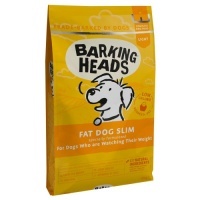 Arden Grange Light dog food for:Adult dogs (1 yr+) who are overweight or with a tendency to weight gain. Arden Grange Light dog food can also be used for senior dogs who are overweight or exercising a lot less or dogs requiring a lower protein or lower fat diet. 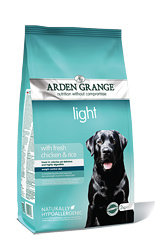 Arden Grange light is also suitable for dogs with a large appetite or dogs that have a less active lifestyle. Crude Protein 18% Fat Content 7.5% Crude Ash 6% Crude Fibres 3.5% Calcium .09% Phosphorous 0.6% Omega-3 0.46% Omega-6 1.63% L-carnitine (50mg/kg). Rice 31 %; maize; 27%; chicken meat meal; beet pulp; fresh chicken 5%; chicken digest; refined chicken oil; yeast; krill; whole dried egg; whole linseed; minerals; prebiotic FOS; prebiotic MOS; yucca extract; glucosamine; MSM; chondroitin; cranberries; nucleotides. Delicious light diet to help maintain healthy weight.